Very excited, can’t wait to get things going! Music! 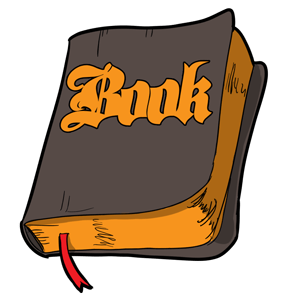 Welcome to BOOK, a bible podcast for everybody, I am Josh Way. This is a podcast for people who long for a fun and intellectually honest exploration of the history and literature of the bible, without all the doctrine and hairspray and spaceships. This show is neither religious nor irreligious, we leave that up to you and your doctor. We’re just here for the text. We’ve been looking at the early Christian texts of the Greek “New Testament,” specifically the gospels of Mark, Matthew and Luke, traditionally labeled the “synoptic” gospels for the basic similarities in their portrayals of Jesus. There is a fourth gospel, attributed to John, which is usually considered apart from the synoptics, not least because of its radically different style and unique portrait of Jesus. We will discover momentarily what makes John’s gospel such a surprising read, but first I want to apply some of my trademark scrutiny to the notion that the “synoptics” represent a homogenous presentation of Jesus. We’ve already seen that, though they share common sources and a narrative kernel, the gospels of Mark, Matthew and Luke also differ in many important details, small and not-so-small. Lumping them together as “basically the same” does a great disservice to the unique voice of each text, and creates a facade of homogeny that makes a text like John’s gospel seem like some kind of a problem that has to be managed. Traditionally this has meant over-apologizing for John’s apparently “Greek” point of view and his “artistic” storytelling choices. The fact is that each gospel tells the story of Jesus from a unique point of view, and all four of them are overflowing with “artistic” storytelling. The best way to manage the material is to allow each gospel to speak for itself, and to put concerns about harmony and contradiction aside while you do so. 1 In the beginning was the word. The word was close beside God, and the word was God. 2 In the beginning, he was close beside God. 3 All things came into existence through him; not one thing that exists came into existence without him. 4 Life was in him, and this life was the light of the human race. 5 The light shines in the darkness, and the darkness has not overcome it. 14 And the word became flesh and lived with us. We gazed upon his glory, like that of a father’s only son, full of grace and truth. Where Matthew and Luke opened their gospels with genealogies and stories about the birth of Jesus (and Mark skipped it altogether), John’s gospel opens with a sort of philosophical prologue about Jesus’ heavenly origins. He goes all the way back to creation, invoking Genesis with the phrase “in the beginning,” and making an apparent claim that Jesus himself was present when God made the world. The language does seem to be intentionally ambiguous – he WAS God, but he was also WITH God and NEAR to God – but the author’s point seems to be: The “word of God,” logos in Greek, the wisdom, will and essence of Israel’s God, the Creator, is somehow incarnate or embodied in Jesus. This is standard church doctrine on our side of history, but for our purposes as text critics we have to acknowledge that this goes beyond anything we’ve seen up to this point. The “synoptic” gospels were about a human prophet who was vindicated and revealed to be the “messiah,” Israel’s long awaited king, and the “son of God,” a genuine representative and agent of Israel’s God on earth. Here in John, Jesus is a manifestation of God himself, or at least of his logos. John then begins his narration of Jesus’ life and deeds, and while the characters, settings, and climax of the story are familiar, the events and details are radically different throughout. In fact, most of the scenes and plot points we know from the synoptics are missing here. Jesus is not born of a virgin, he isn’t baptized by John the Baptist, he isn’t tempted by the devil, he doesn’t proclaim the “kingdom of God,” and he doesn’t tell any parables or cast out any demons. There’s no “sermon on the mount” or “lord’s prayer,” no “transfiguration” or “last supper.” The message and methods of this Jesus seem to be wildly different from those of the apocalyptic prophet from the other gospels. Curious indeed. The first episode in John’s narrative involves Jesus and John the Baptist, and it’s a good example of the unique vibe of this gospel. In the synoptics, John baptized Jesus as a sort of inauguration for his messianic career, and God’s voice declared from heaven, “this is my son, listen to him!” In John’s gospel, Jesus isn’t baptized, but the baptist is the one who announces that Jesus is the “son of God.” He also refers to Jesus as the “lamb of God who takes away the world’s sin,” which is a unique saying to this gospel. Keep that one filed away for later. The text explains that John says these things as “evidence” about Jesus, and that’s a major keyword in this gospel. This is a Jesus whose primary task is to “prove” his identity so that people will “believe in him.” This is actually in strong contrast to synoptic Jesus, who healed and blessed in the name of God’s kingdom but refused to glorify himself with magic tricks. When the devil tempts Jesus to perform a sign, he retorts “you shall not put the Lord your God to the test!” And in Matthew 12 when some Jews beg Jesus to give them a sign, he refuses saying, “no sign will be given to this wicked generation!” In Mark 8, Jesus orders his disciples to keep his messianic identity a secret, but here in John he’s on a mission from day one to reveal his divinity to everyone who will listen. In John 5 Jesus travels to Jerusalem during an unnamed festival, to a “healing pool” near the temple where he heals a paralytic man. He performs the miracle on the Sabbath, and John tells us that this is when the Judaean authorities began to “persecute” Jesus. In the same chapter, Jesus’ disciples are out on a boat on the sea of Galilee, when they spot Jesus walking out to them on the water. Jesus makes several of those “I am” statements (seven or eight depending on your criteria), which some interpreters take to be additional references to Jesus’ divinity, specifically invoking the moment in Exodus when Israel’s God revealed himself to Moses in a burning bush and identified himself as “I Am.” And while we’re on the subject of Jesus’ unique use of language in John, we should backtrack a little and examine two of his most famous sayings that are unique to this gospel. In John Chapter 3, Jesus tells a prominent Jewish teacher named Nicodemus that he must be “born again.” Later in the same passage, Jesus promises that everyone who believes in him will receive “eternal life.” Being “born again” and receiving “eternal life.” These phrases are so well known today, even among non-religious people, that we might forget how strange they sound here in the New Testament, especially in light of the message of Jesus according to the synoptic gospels. First, what does it mean to be “born again?” This phrase has become a sort of litmus test for belonging among fundamentalists, and a byword of bad religion for many outside the church. For most people today, being “born again” means adopting a particular brand of religion and the ideologies that come packaged with it. This language has had a huge impact on Western culture, considering it only appears in this one passage in John. If you’re confused or weirded-out by the phrase “born again,” you’re not alone. Nicodemus asks Jesus to clarify, and he does: we are all born of “flesh,” Jesus says, but we must also be born of “spirit” as well. Another (perhaps more precise) way of translating the Greek phrase is “born from above.” Essentially, this is a metaphor about obtaining a new kind of life, one that is “from heaven,” or rather in tune with God’s character as revealed by Jesus. Not too far from what Jesus calls “repentance” in the synoptics, I think. But what about this “eternal life” business? Not unlike the phrase “kingdom of God,” this phrase has too often been misunderstood as a reference to an afterlife, to “going to heaven when you die.” Once again, however, a more precise translation of the Greek sends us in a better direction. This phrase doesn’t mean “eternal life” as in “life that lasts forever,” but rather “the life of the new age.” Lots of Christians don’t like the sound of that, but that’s really what it means. It’s actually John’s poetic way of describing the kingdom of God, the coming reign of God on earth. Another aspect of John that differs from the other gospels is the geography of Jesus, specifically his relationship to Jerusalem. In the synoptics, Jesus traveled and preached throughout the land of Palestine, moving slowly toward his single, fateful visit to the capital. Here in John, however, Jesus takes multiple trips to Jerusalem. In fact, he’s there already in Chapter 2, driving the merchants out of the temple, an event that served as the climax of his ministry in the previous gospels. In those texts, the temple tantrum was the inciting incident which sealed Jesus’ fate. Here, it’s the very beginning of his public ministry, and it’s the raising of Lazarus in Chapter 11 which sets “Holy Week” into motion. 33 “Children, I’m with you only a little longer. You will look for me, and as I said to the Judaeans, where I’m going you cannot follow. Here’s a verse that has often been taken out-of-context and used as a statement about the exclusivity of Christianity. “The only way to go to heaven is through Jesus!” But in context, it’s not really about “going to heaven” or even about Christianity. It’s about Israel, represented by Jesus’ disciples, and their relationship to their God, embodied in Jesus. If they want to see God, they must look at Jesus to know what he’s like. And what does God look like in Jesus? He’s a God of love, whose only commandment is “love one another,” and who loves his people like a groom loves his new bride. This isn’t an exclusivist religious claim, it’s far more radical than that: it’s a claim that the God of Israel, Jesus, and the bible is first and foremost a God of love. That’s not how everyone has traditionally imagined God to be, even in the bible! 33 … “Are you the king of the Jews?,” [Pilate] asked. Shifting gears from the political to the poetical, we begin to notice something profound going on with John’s storytelling as the “passion” plays out. In this gospel, Jesus will die on the day of Passover, at noon, as the sacrificial lambs are being slaughtered in the temple, not on the day after Passover as in the synoptics. John has been counting down the week until Passover and, thus, the death of Jesus. By that count, this is day six, and so when Pilate presents Jesus to the crowd and announces “Here is the man!,” we are reminded that God created mankind on the sixth day. As Jesus hangs on the cross, at the end of the sixth day, he announces “It is finished!,” as he dies, and we recall that on the seventh day, God finished the work of creation. As God “rested” on the sabbath, so will Jesus “rest” in his tomb on this sabbath. To the last page, the emphasis of John’s gospel is on evidence and believing. Why is this? Could it be because this gospel was written substantially later than the synoptic gospels, as late as 95 CE or later, perhaps even early in the second century? The distance between the text and the events it interprets could explain a lot about its odd tone and its obsession with proof and belief. A late date might also explain the portrayal of Jesus as a pre-existing divine being rather than a virgin-born human anointed and venerated by God. But even as we consider the undeniable uniqueness of John’s gospel, let’s not lose sight of the fundamental continuity between all four gospels. In each presentation, Jesus’ message is not about achieving reward in the afterlife, but about renewed life in this world, John’s “new creation.” Despite all of their peculiar emphases and discrepancies, every gospel boils Jesus’ prophetic message down to love of neighbor. Whether it’s “repentance,” or being “born again,” or inheriting the “life of the new age,” each invites its readers to follow after Jesus in his way of selfless love. We’ve no shortage today of religious interpretations of Jesus’ message, but we’ll always have these four remarkable ancient books to help us rediscover how the earliest Christians understood it. Next time we’ll begin our exploration of the literature about the early church, about how the first followers of Jesus attempted to put his message into action.